Knysna (pronounced ‘Nais-nah’) is at the heart of the garden route. It is a beautiful seaside town built next to a lagoon, which bears the same name as the town. The town is renowned for its oysters, which historically were farmed in the lagoon. Today the majority of the oysters are farmed at Saldanha Bay on the West Coast of South Africa. An annual oyster festival attracts visitors from all over the country as well as many international tourists. The Knysna Heads are Knysna’s most famous geographical features, forming the entrance to the lagoon. While the suburbs of Knysna have expanded onto the western head, the eastern head has been conserved as a national park. On the eastern head are several look out points, which are connected by walking trails. Hiking from one viewpoint to another allows visitors a stunning 360-degree view of the beautiful surroundings. 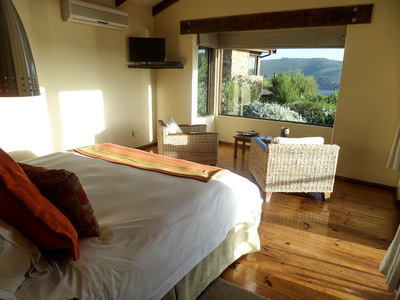 Amber Guest Lodge is a 4-star guesthouse located close to the eastern Knysna Head. The comfortable sun deck is slightly elevated; allowing guests a great view of the lagoon. A tasty breakfast can be enjoyed every morning whilst you enjoy the beautiful views. The lovely en-suite rooms are spacious and decorated in a classic modern style. In the summer guests can relax at the lovely swimming pool. 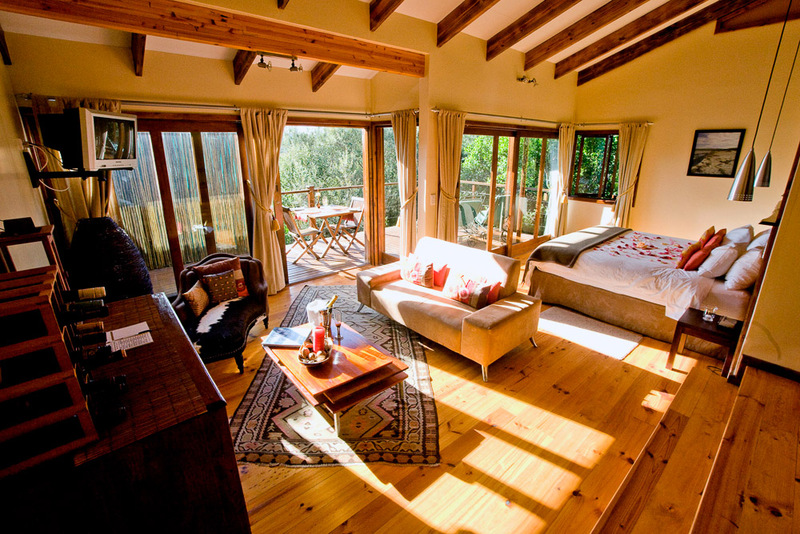 The Amber Guest Lodge is the ideal location to explore Knysna and its surroundings. Children of all ages are welcome at the Amber Guest Lodge. Elephant Hide Guest Lodge is a luxury 4-star lodge placed perfectly on top of the cliff overlooking Knysna and its surroundings. The suites, lounges and dining room are decorated with a lot of natural stone and wood, creating a warm African ambiance. The seven suites are all equipped with a full range of modern comforts, ensuring a wonderful guest experience. A scrumptious breakfast is served in the main lodge every day. During their stay guests can enjoy the pool or explore the many beautiful sights Knysna has to offer. The town centre is just 3 km away and has lots of fine dining options. Children of all ages are welcome at the Elephant Hide Guest Lodge. 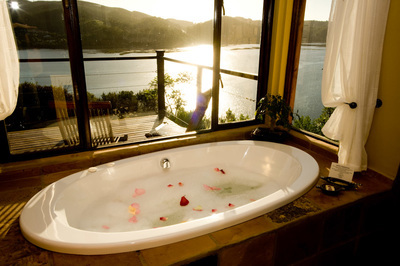 Amanzi Island Lodge is a tranquil beach house situated on Leisure Isle, with spectacular views of the Knysna Heads and Featherbed Nature Reserve. The lodge offers spacious en-suite and air-conditioned bedrooms, which open out onto a balcony either overlooking the lagoon or their lush private gardens. Equipped with a library, swimming pool and terrace, Amanzi Island Lodge provides ample space to relax. Bikes and kayaks are available to those wishing to explore more of Leisure Isle. Children over the age of 6 are welcome at Amanzi Island Lodge. Do you want to visit Knysna but prefer something different to the options above? Get in touch and we'll happily design your Tailor Made tour!